Life. The Universe. Everything. The human race has always revealed an insatiable hunger to search “to infinity and beyond”. 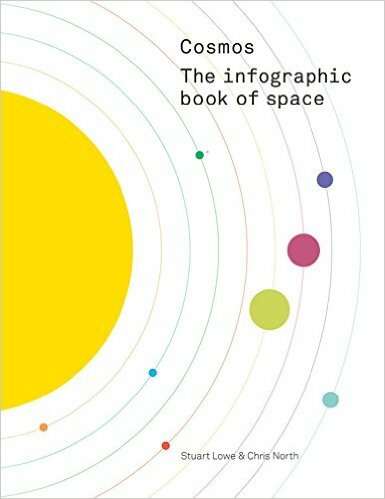 In this truly mind-blowing book, partners in science Stuart Lowe and Chris North use cutting edge infographics to illuminate – in a new and unique way – the most amazing places and objects that modern science has laid bare. Featuring innovative, inspirational and original designs by leading authors in their field, COSMOS: THE INFOGRAPHIC BOOK OF SPACE delves into a truly international subject and will appeal to stargazers and space enthusiasts of all ages. We’ve all learned the basics at school but how much can you remember? Expert astronomers and co-presenters of The Sky at Night Chris North and Paul Abel take a fascinating guided tour of our Solar System and explain its wonders. They look at all the major players, including our more familiar neighbours – the Sun, the planets and their moons – the occasional visitors to our planet – asteroids, meteors and comets – as well as distant stars and what might be beyond our Solar System – Earth Mark II? 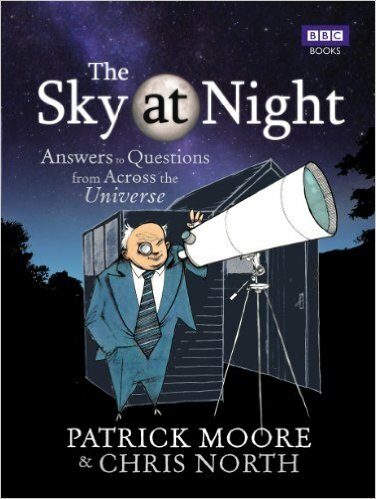 Chris and Paul recount the history of how everything came about and the myths that once shaped astronomy. 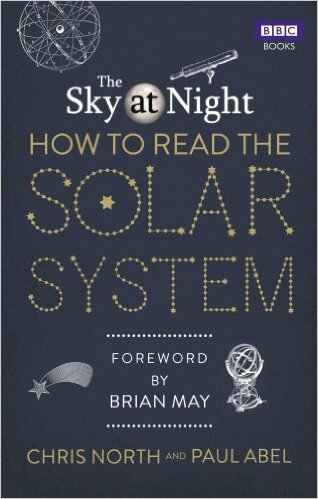 They explain the latest science and discoveries, and reveal how any amateur astronomer can view and interpret the Solar System.